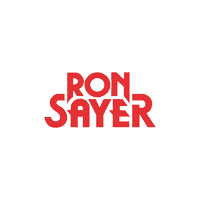 Here at Ron Sayer's Chrysler Jeep Dodge, we understand your obsession with your car, truck or SUV. That’s why we have compiled a list of activities that don’t require you to leave your vehicle at all. Check out all these great options near Idaho Falls, ID. Who doesn’t love a drive-in movie? Especially if you just purchased a new or like-new vehicle from Ron Sayer's Chrysler Jeep Dodge and aren’t quite ready to get out of the car yet! Luckily, Idaho Falls is home to not one, but TWO sister drive-in movie theatres, the Motor Vu and Sky Vu, which screen Feature Films. Admission costs for both theatres are $7 for adults, $1 for children ages 5-9, and free for children under 5! Movies start at 9:00pm sharp so be sure to get there early for a great spot and to sort out your concession needs. The theatres are seasonal so check their websites for exact time and dates of screenings. Visit the Yellowstone Bear World in Rexburg, ID to experience North American wildlife from the comfort and safety of your car. The park allows you to get up close and personal with free-roaming rocky mountain elk, grizzly bears, moose, wolves and more! Admission is $16.95 for adults, $10.95 for children and free for toddlers. If you need to get out and stretch your legs, park your Chrysler, Dodge, Ram or Jeep vehicle and spend some time in the Yellowstone Bear World cafe, gift shop, petting zoo or amusement rides. It’s rare to see an actual drive-in diner these days, unless you’re in Idaho Falls! If you fancy a burger, fries or milkshake, you’ll want to check out Scotty’s Drive In. Just don’t forget to ask for extra napkins…we wouldn’t want you ruining the interior of your car from any ketchup spills! South of Idaho Falls lies the Portneuf Range which is a perfect spot to park your vehicle and watch the sunset. If you don’t feel like leaving city limits, then check out spots along the Snake River. You won’t be disappointed with either view, just remember the sun sets around 5:50pm these days so be sure to arrive on time! If you own a RAM truck, Ron Sayer's Chrysler Jeep Dodge recommends filling the back with blankets and pillows for an even greater sunset viewing experience. While in Idaho Falls, ID be sure to visit the Ron Sayer's Chrysler Jeep Dodge dealership for a new or like-new vehicle or to service your existing car!